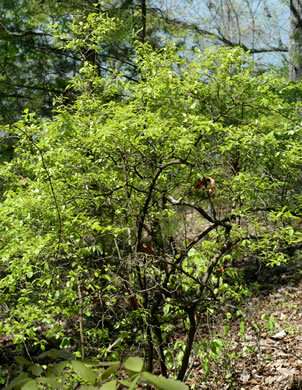 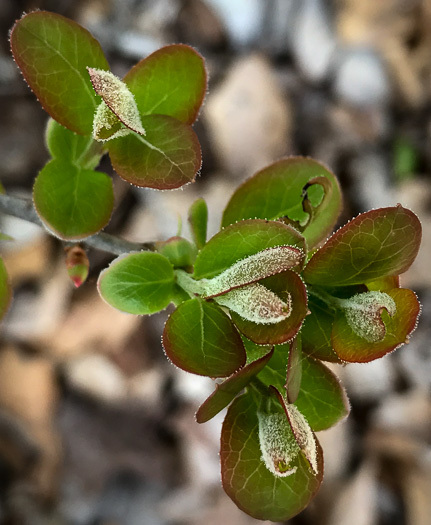 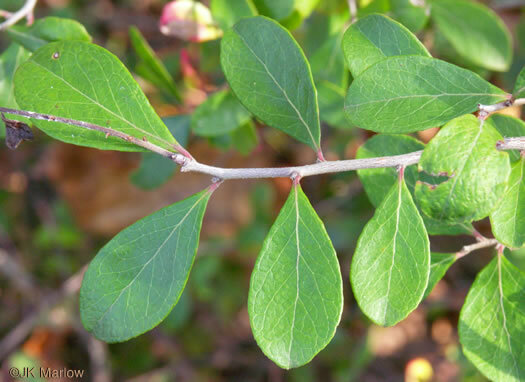 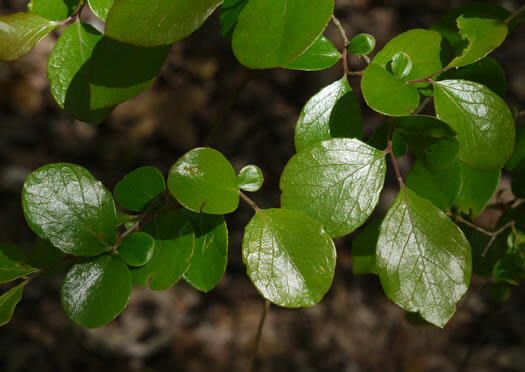 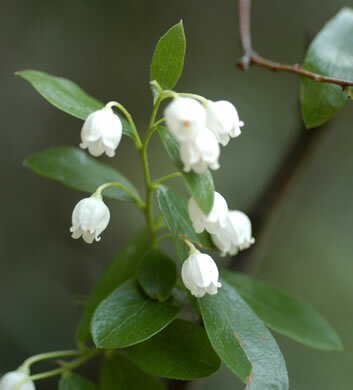 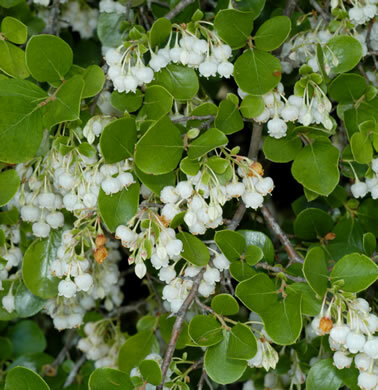 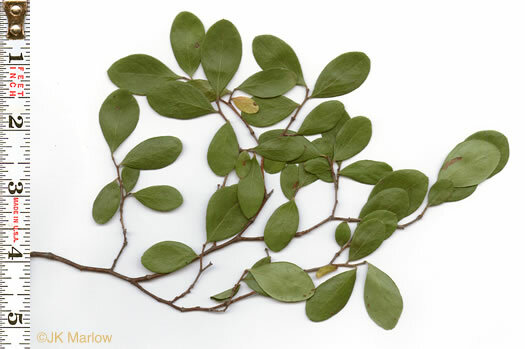 Leaves coriaceous, evergreen to tardily deciduous, per Vascular Flora of the Carolinas. 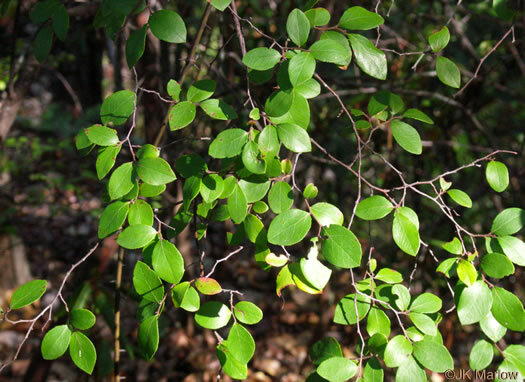 Leaves entire or serrulate, often spinulose, mucronulate, per Vascular Flora of the Carolinas. 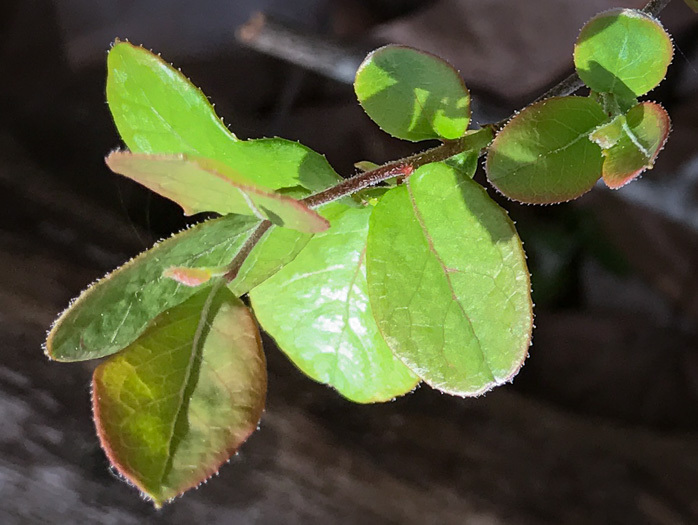 Corolla bell-shaped, 5-8mm across and about as long, per Trees of the Southeastern United States. 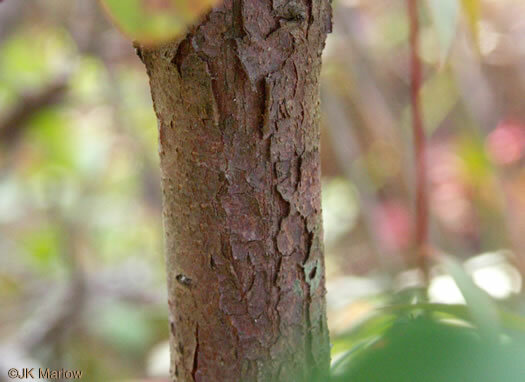 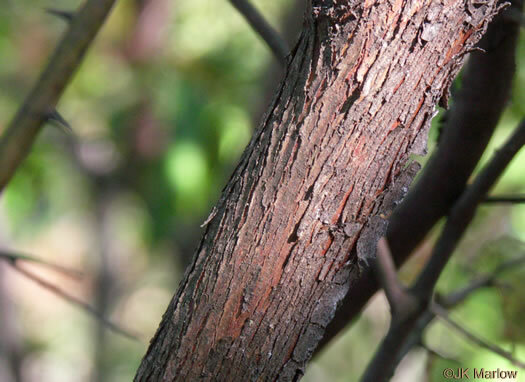 Bark scaly, grayish outer bark revealing red-brown inner bark, per Woody Plants of the Southeastern US: A Winter Guide. 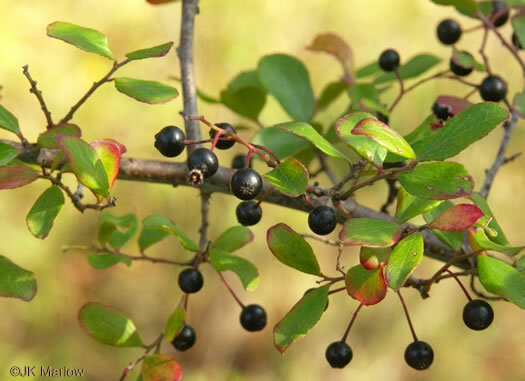 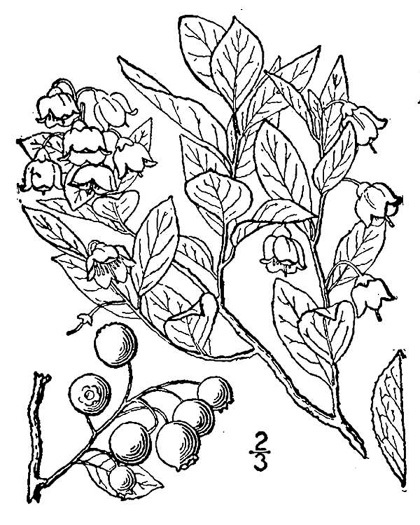 Berry black, lustrous, 5-8mm long, dry and mealy, long persistent, per Vascular Flora of the Carolinas. 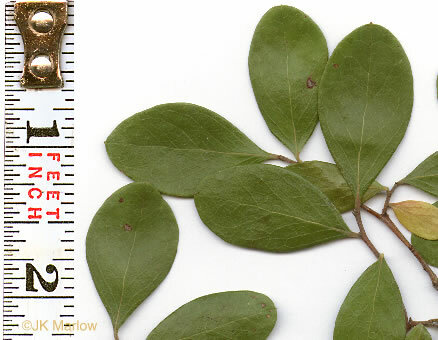 Leaves coriaceous, elliptic, oval or obovate, 2-7 cm long, 1-4 cm wide, per Vascular Flora of the Carolinas.